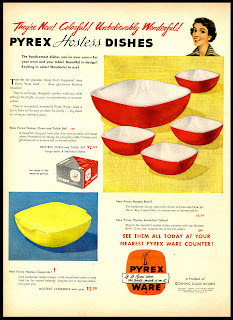 I love when I come across these advertisements for Pyrex. This time for the Pyrex Hostess Dishes. 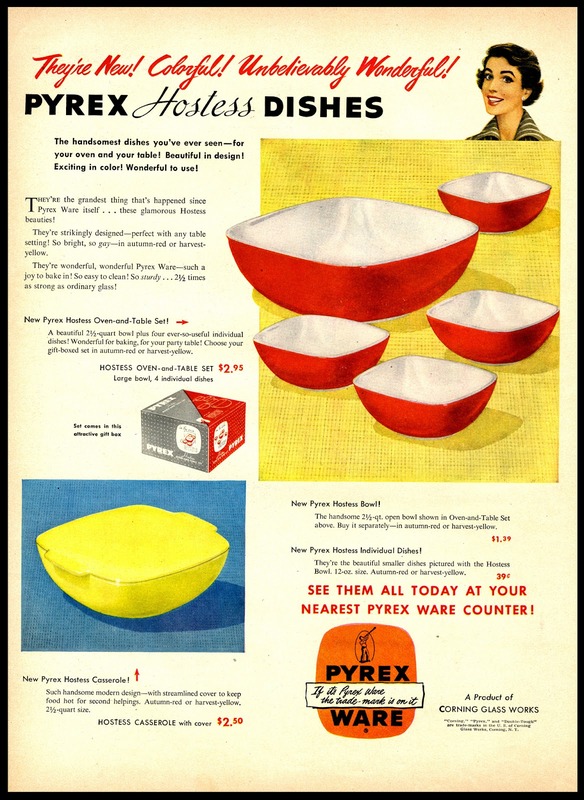 And nothing is more amazing to me... is that you could have purchased the Pyrex Autumn Red - 5 piece set - for $2.95 in a lovely box. 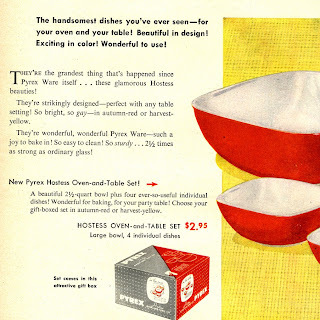 Or you had the option to purchase them separately! And the cost was even more amazing! 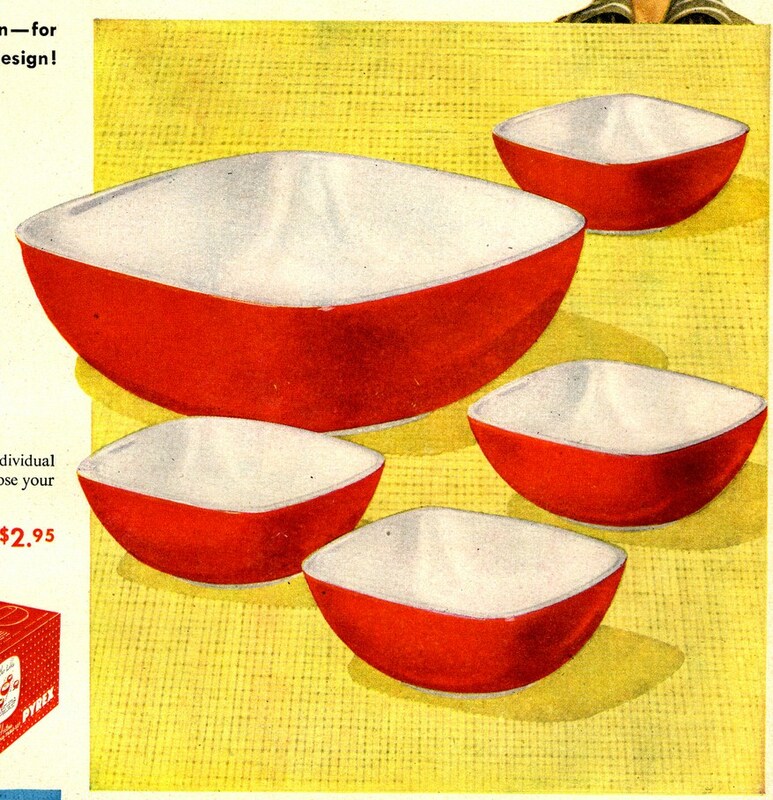 Those sweet little square red dishes could be picked up for .39 cents each! 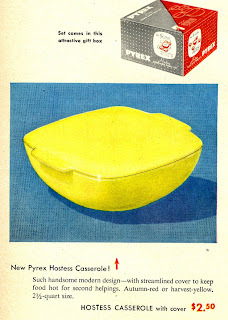 To add to those wonderful.... practical prices.... there was the Pyrex Hostess Casserole in Harvest Yellow... with its equally amazing matching lid. I can honestly say... I never seen one of these for $2.50 - but I would snap it up if I did! i have the amazing hostess casserole with matching lid in fabulous red! i admit, i got it for my oldest daughter, but it scuttled into my own cabinet before she could get her hands on it. what can i say? it belonged with me! 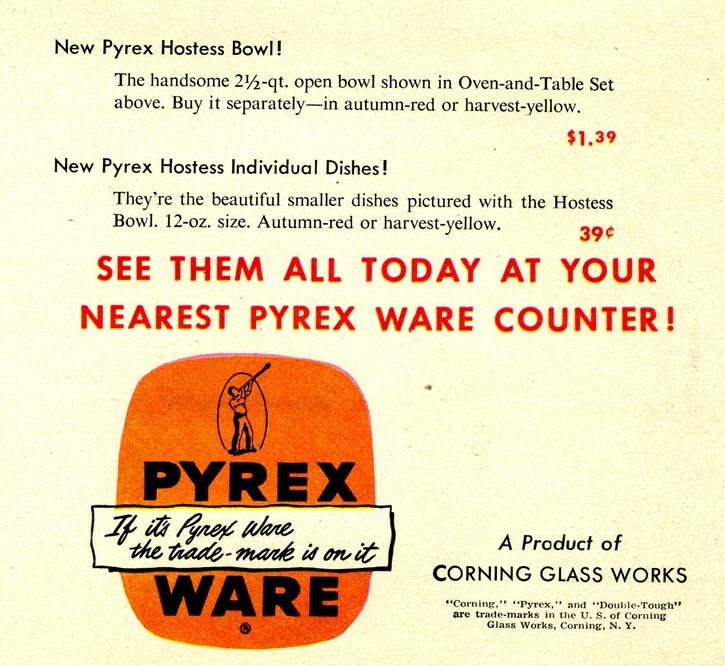 I love Pyrex. I found the yellow casserole with lid at an estate sale this Winter for $4. I was sooo happy! 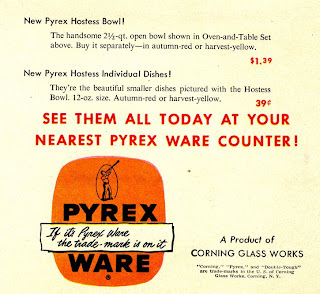 I wish I came across more Pyrex at the estate sales. I have long suspect that it never makes it to the actual sale.